With a stay at APA Hotel Nagasaki-Ekiminami in Nagasaki, you'll be within a 15-minute walk of Megane Bridge and Twenty-Six Martyrs Museum and Monument. Featured amenities include complimentary wired Internet access, dry cleaning/laundry services, and luggage storage. Event facilities at this hotel consist of conference space and a meeting room. Self parking (subject to charges) is available onsite. Located in Kyoto (Central Kyoto), Gagakuan is within a 15-minute walk of Higashi Honganji Temple and Kyoto Tower. With a stay at Guest House Nakamura House in Oki, you'll be within a 15-minute drive of Ryukyu Islands and Madogaharu Park. 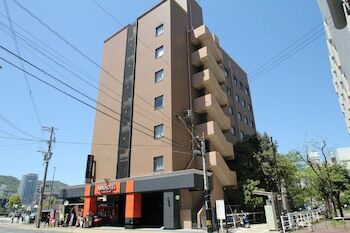 With a stay at Spa World in Osaka (Shinsaibashi), you'll be a 4-minute drive from Tsutenkaku Tower and 6 minutes from Shitennoji Temple.